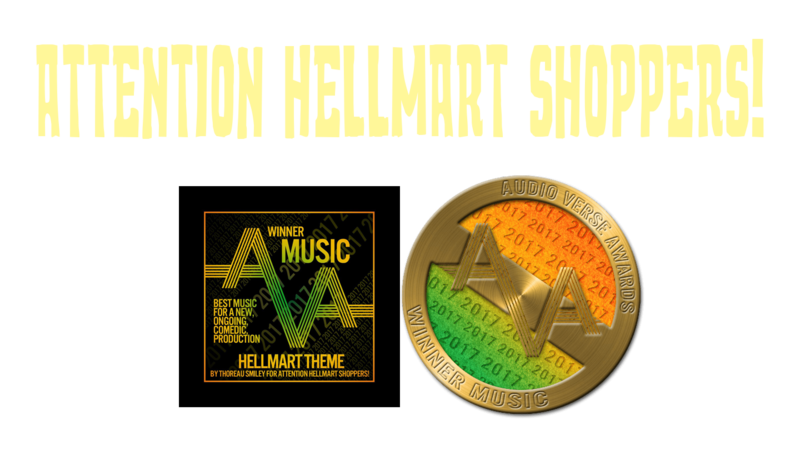 About – Attention HellMart Shoppers! Attention HellMart Shoppers! is written, scored and produced by Thoreau Smiley. Thoreau grew up in southern Arizona, where he was taught to play guitar by his father, an accomplished musician in his own right. He spent most of the late nineties wasting his youth on that rock and/or roll before making his living as a club DJ in the 2000s. He has been a member of the sketch comedy troupe The Monolith Players, been in numerous community theater productions and has been writing since he was a teenager. Despite his many creative endeavors he’s also had a series of day jobs in retail, where he gathered the huge reservoir of material that is finding it’s way into Attention HellMart Shoppers! He now resides in Wisconsin with his wife and two sons where he helps run the family business, a neighborhood pet store.